The average green tariff is £100 cheaper a year than the average Big Six standard tariff for a medium user, according to figures from uSwitch compiled exclusively for Good-with-money.com. A typical green tariff costs £994.43 a year, uSwitch found, compared with £1,094 for a Big Six Standard customer paying by direct debit (the cheapest payment option). Someone switching from a Big Six standard tariff (paying by direct debit) to a green supplier that uses at least 33% renewably-sourced power would typically save if they switched to any of the top 20 of 24 green tariffs currently on the market. Read our feature on switching to a green tariff here. The findings, which give the lie to the notion that renewable energy is more expensive, demonstrate that bill payers switching from a Big Six standard tariff where they are paying via the more expensive options – on receipt of bill or by prepayment – would save if they switched to any green deal on the market. So even someone on the most expensive green tariff would save if they are paying on receipt of bill or prepaying with a Big Six tariff. The most expensive green deal, the “sparkling” tariff from Green Energy UK, is £1,139.49, compared with an average annual bill for a Big Six standard POR or prepayment of £1,170. The most costly Big Six tariff is npower’s standard plan (paying on receipt or prepayment) at £1,204. Someone switching from this tariff to one of the cheapest green tariffs available nationally from OVO Energy, at £876, would save a whopping £328 over the year. Peterborough Energy and Southend Energy, at £839 are just £8 off the very best buy on the whole of the market for a medium user, which is GB Energy, at £831. These suppliers are local council-operated in partnership with Ovo. 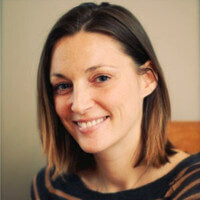 Becky O’Connor, founder of Good-with-money.com, said: “If this is the direction of travel of the energy market, UK bill payers finally have cause to cheer. Not only can their supply be cheaper, it can also be cleaner. “The Big Six are way off the money. We hope they will soon begin to pay the price for being both costly and dirty as more and more people see the light and switch to cheaper and greener deals. “Local, council-run suppliers using renewables have made astonishing progress in the last year. They are now among the very cheapest deals on the market, taking on the dominant players and making their prices look crazy and utterly unjust. “These figures from uSwitch show that renewable energy is not more expensive. If someone can save £260 a year by switching from the Big Six to a renewably-sourced supply, then clearly it is a cheaper, not to mention greener and more secure, way of powering our homes. “We’d say the huge cost savings to consumers are a good reason for the Government to continue to support the renewable energy industry with incentives, because it is working for us. Ann Robinson, Director of Consumer Policy at uSwitch.com said: “It is very encouraging to see these new offerings from small, green and local suppliers. People are finally beginning to see a choice between different energy suppliers and a range of tariffs, including green options. Read the GWM guide to greening your bills, using the uSwitch figures, here.